Welcome to the Eighty Third Edition of the Owen Guns Bulletin. Big thing are happening at Owen Guns, and shortly we will be opening our new larger firearm showroom Soon. Over twice the size of our current Gun Room. 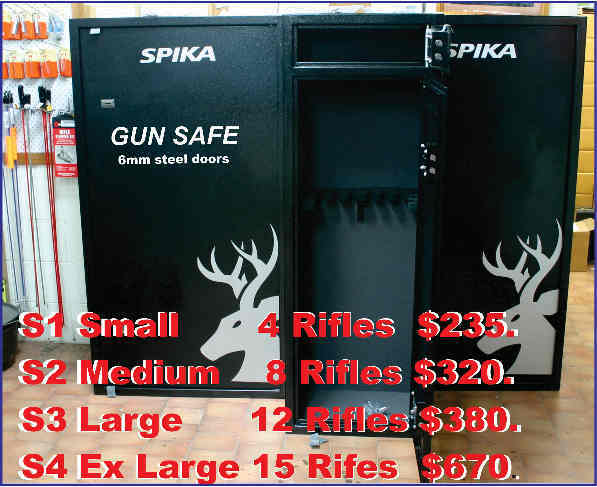 Owen Guns at Gympie will have our own Gun Shows permanently so please call in to see us. MOSSBERG ATR .243 Win $490. 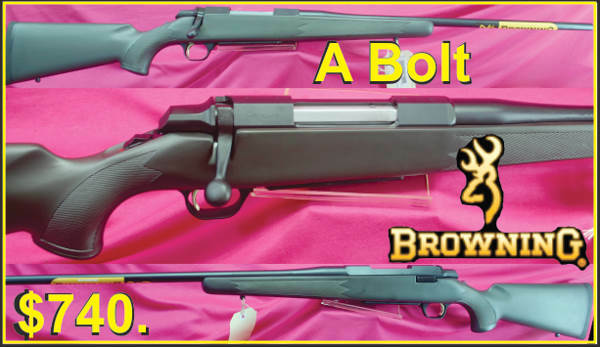 MOSSBERG Maverick .270 win, .308 win & 30-06 Spn $399. To make improvements for firearm owners we have to consider what motivates governments, I would like to say the Constitutional/democratic system of representation but if I said that, it would be a lie. Some would say the will of the majority of voters and that would not be true either. Basically, the answer is, the “Squeaky Wheel Gets the Oil”. That is why minorities like the Greens have so much power, they can Ban Plastic Bags, Guns, and Fishing, and just about have Blind Freddie’s White Walking Stick removed because its made of wood. They are completely illogical to the extent they are “cockamamie” and “wacky”, but they get what they want and we a majority in comparison in numbers of voters get nothing. We firearm owners have to be as militant the Greens, we have to be the “Squeaky Wheel”, the serial complainers, we have to work harder to make up for our mates, who do nothing. 2) when pushed they Lie. So we have to be Persistent and repeat, again and again, like a resounding drum, the Truth. The drum we can all use is Electronic Media, if your reading this, you have some use of it at your fingertips. “If you tell a lie big enough and keep repeating it, people will eventually come to believe it. The lie can be maintained only for such time as the State can shield the people from the political, economic and/or military consequences of the lie. It thus becomes vitally important for the State to use all of its powers to repress dissent, for the truth is the mortal enemy of the lie, and thus by extension, the truth is the greatest enemy of the State.” . The truth is the greatest enemy of the State. I think of that quote often, but this letter from Weapons Licencing brought it to the fore. Disappointing, it is that nothing changes, that governments who once learn the maxim above have not changed and like history, they keep repeating it. This was an answer one of the members of the Firearm Owners Association of Australia received. Thank you for your time this afternoon to discuss your concerns about the permit to acquire system and communication channels with Weapons Licensing. As I indicated during our discussion the Weapons Act 1990 (the Act) was amended in November 1996 following the Port Arthur Massacre on 28 April 1996. These amendments were part of the National Firearms Agreement agreed upon by all Australian jurisdictions. Incorporated in the amendments was the introduction of an integrated licensing and registration regime in Queensland. The current Permit to Acquire (PTA) system is a requirement within the Act to ensure weapons are accurately registered on the Commissioners Firearms Register. The PTA system is pivotal to the continued achievement of the National Firearms Agreement to which Queensland is a signatory. The decision to implement the ‘on the spot system’ was designed to serve the short term goal of the amnesty in the most cost effective and efficient way, namely to encourage people possessing unregistered weapons to have the weapons registered. It was not designed to impinge or otherwise impact on the requirements of the Act. The recent amnesty resulted in the registration of almost 19,000 weapons. It is important to note the Amnesty Declaration, , waived the requirement for a PTA and fees only for weapons registered as part of the amnesty. It did not replace the PTA scheme for weapons that were already registered. The declaration was made and published in the Queensland Government Gazette on 1 February 2013 as required in section 168B of the Act. That is really slick, it sounds like the Police serving us, defending us from ourselves, like the new religion is ‘Trust the Government’. Quote , “THE RECENT AMNESTY RESULTED IN THE REGISTRATION OF ALMOST 19,000 WEAPONS.” If they can so that without PTAs, why do the Police still keep imposing PTA’s on law abiding firearm owners? LIE ONE : “The current Permit to Acquire (PTA) system is a requirement within the Act”, if it was they would have referred to the Section of the Act. Write and ask them which section of the Weapons Act 1990. TRUTH : No answer for three months. TRUTH: A past government official may have signed this, but it is not legislation, our representatives have not voted in parliament to impose this ‘Agreement’ on the people of Queensland. TRUTH: Section 168B announces an amnesty, no power in this section to change any other section of the Act. (1) The commissioner may, with the approval of the Minister, declare an amnesty (amnesty declaration) for firearms of particular types. (b) in a newspaper circulating generally throughout the State. (b) to obtain the necessary authority under this Act to possess the firearm. (4) Subsection (3) does not stop the commissioner from, with the approval of the Minister, amending or revoking an amnesty declaration. TRUTH :This is a lie as there is no requirement to impose a PTA system on each registration so they are NOT ensuring the principles and objects of the Act. They are imposing it on us by their own will. 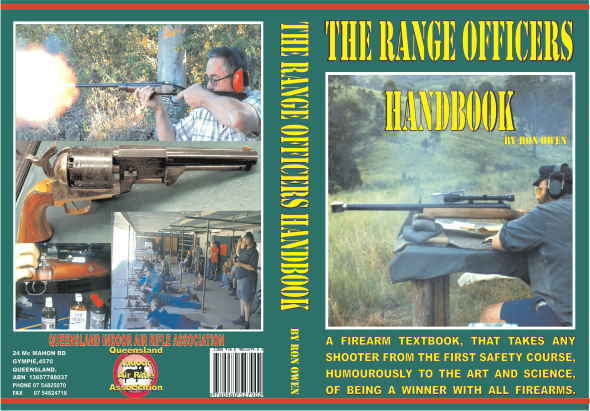 The Act does call for a registration and licence system and that is still being complied with, the firearms are registered to the licenced shooters the Firearm Dealer informs the QPS in the required time by Form 10. GPO Box 15195, City East QLD, 4002 Brisbane QLD 4000. This is the forth letter I have written, I have had one reply through Mr David Gibson M.P. but the reply did not address these important questions. I have also phoned twice, all to no avail. Quote , “THE RECENT AMNESTY RESULTED IN THE REGISTRATION OF ALMOST 19,000 WEAPONS.” If they can do that without PTAs, why do the Police still keep imposing them on law abiding firearm owners? As there was no waiving of the PTA system in the Amnesty legislation section 168B of the Weapons Act. 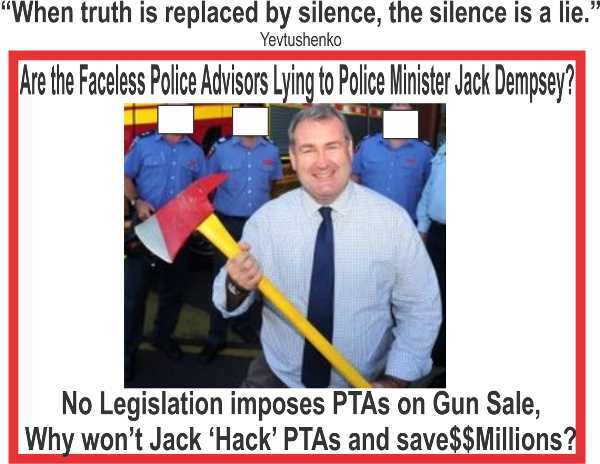 1) Did the Dealers and Queensland Police breach the Weapons Act with the 19000 registered to licences without a PTA, and will they be prosecuted? 2) As the requirement for the PTA system is only imposed on us, by the will of the QPS and not imposed by a section within the Weapons Act 1990, when will its suspension, removal be announced? Select your local Member of Parliament email address and forward a copy of your question above to them. They are paid to represent us and assist us with our problems with Government, ask them for answers. Members of the Queensland House of Representatives are talking about this subject themselves and have contacted me, to say they are asking the Minister. Why do we have to have the PTA system, as the Weapons Licencing Section Permits to Acquire are 90% of their total complaints and creates for them, and Weapons Licencing a lot of work. We have a coming election, hopefully you will all know well enough to put the Greens last, Labour second last and Independent or Shooters Party first. Both Lib Lab Nationals and Labour have all betrayed us before. If you want to see change and you have a sitting member in one of those major parties put them just above the Green candidate and new ones that are pro shooting and hunting on top. Go on have a go its easy, become a voice for justice, a voice for freedom, lets seize the day, we have nothing to lose but our chains. Write a letter. 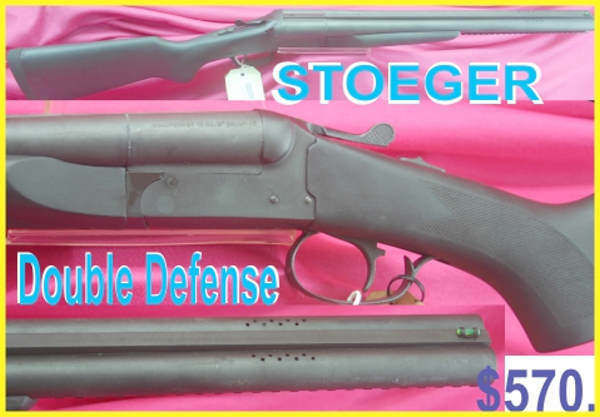 Stoeger Double Defence, 12 g side by side $570, Under and Over $590. Security torch rails, 20 inch barrels. 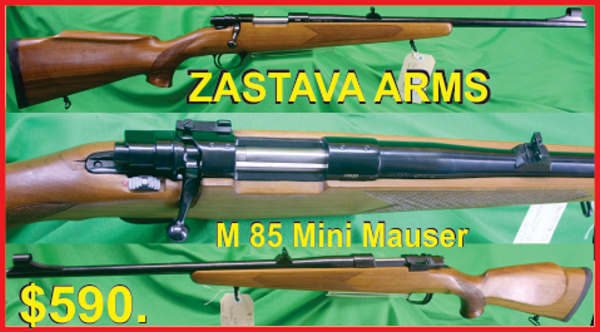 Marlin Model 336 W $720. 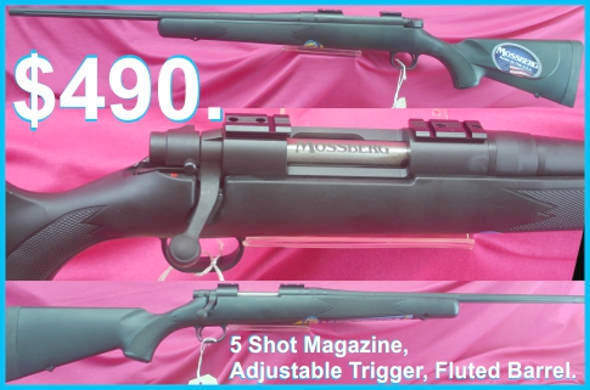 Marlin Model 336 W 30-30 win with laminated stocks, side eject $720 plus post. Remington Model 7600 Pump .308 Win $1350. plus post.